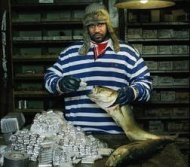 Ahora puedes escuchar y aprender la canción "Childs play" de Ghostface Killah. might get a little, go to the store or something, youknowhatimean? Escuchar Ghostface Killah Childs play Lyric Video.